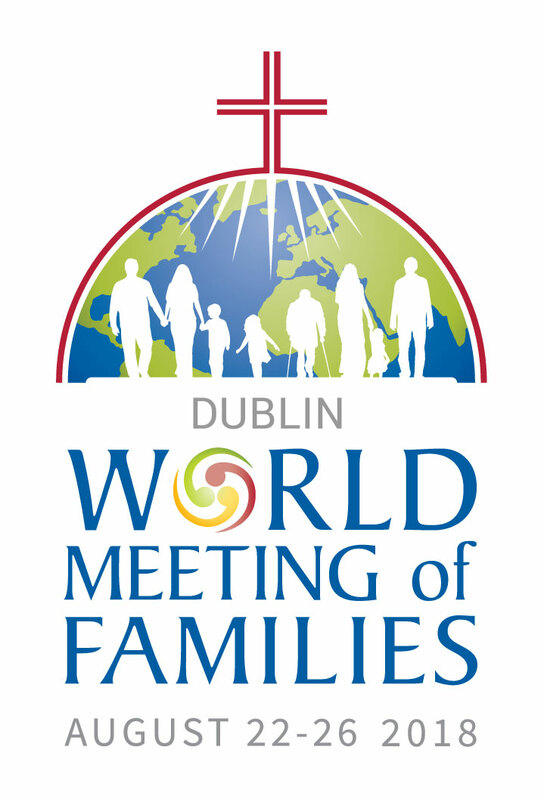 Recently the Church celebrated the 9th World Meeting of Families in Dublin on the theme; ‘The Gospel of Marriage: Joy for the World.’ I think it provides an opportunity and stimulus for us to reflect on the place of the Gospel of Marriage in the legion according to the writings of Frank Duff, our founder, especially in his article on ‘Marriage’ in his book: ‘Victory through Mary’ and the article: ‘The Spirit of Home Visitation in his book ‘Mary shall Reign.’ And, of course, we are guided by the Handbook. He writes: ‘Now here is my position to legionaries. Why not marry in the full spirit of vocation with the intention of deliberately exploring the spiritual gold mine of Matrimony?’ Married or single, it is not important for all legionaries to explore the gold mine of matrimony so that they can support in a more informed way the married men and women they meet in their apostolate and appreciate more fully the families into which they are born. Brother Duff opens his article on marriage with a wonderful sentence in terms of the fundamental spirit of the Legion. He writes: ‘Legionaries should be happy in each other’s company.’ He goes on; ‘Friendships should form. 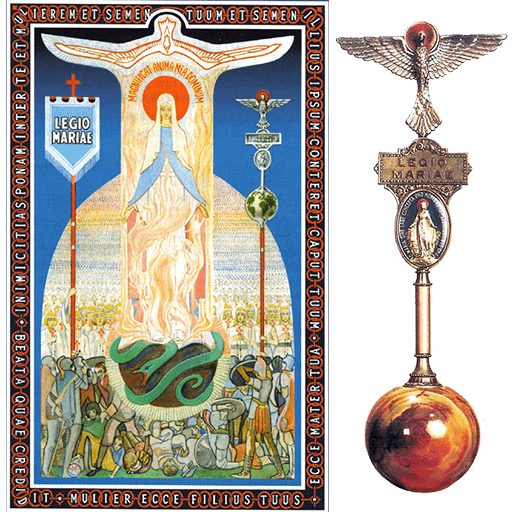 These friendships should be superior to common friendships, because in them there is an additional element – the spiritual.’ What is this spiritual element in Legion friendships? I think it is summed up in the Third Standing Instruction: ‘The performance of a substantial active legionary work, in the spirit of faith, and in union with Mary, in such fashion that in those worked for and in one’s fellow, the person of Our Lord is once again seen and served by Mary, his Mother.’ Of course if a legionary is no longer happy in the company of other and is no longer willing to try however difficult it may sometimes be and see the person of Our Lord in the other members with the eyes of Mary it raises serious questions about their membership of the Legion. This is especially true, according to the Handbook, for officers who have a duty to promote unity and spiritual harmony in the praesidium or higher councils. However, for a successful marriage the couple must at least be happy in each other’s company and it would be a huge benefit if there were also a genuine spiritual bond between them. Let me briefly state three deep convictions of Frank Duff concerning marriage. First, marriage is a vocation in the fullest sense of the word. That means that it has its origins in the heart of God. It is not a human invention but is designed and willed by God. It is the normal way for the vast majority of men and women for becoming saints. So marriage is a salvific covenant planned by God so that men and women would live happily together in this life but even more importantly that they would live with Him for all eternity in perfect happiness. There are other extremely important goals for marriage such as the procreation of children but the primary purpose is salvation. Secondly, because of original sin every human person who comes into this world is flawed. This has consequences for marriage. So along with the joys there are also sorrows, difficulties, problems and struggles. Married people needed a lot of help and the good news is that God has provided it superabundantly, indeed magnificently. Not only has God redeemed the world by the death and resurrection of his Incarnate Son, but he redeemed marriage in particular. God became man in the context of a human marriage and constituted marriage as a Sacrament. So marriage is not only a means of producing human life but it is also an instrument of giving divine grace. The husband and wife are the ministers of grace to each other and their family and Jesus becomes an ever present reality in their relationship. It is at this point the Marian dimension of Christian marriage. By her ‘yes’ to the total plans of God she plays a significant part not only in the redemption of the whole world but in the redeeming of marriage in particular. As a wife, a mother, a home maker, and a woman who gave primacy to her marriage and family she has a special concern for the marriage and families of her spiritual children. We should need a whole series of Allocutios to do justice to our Founder’s reflections on the impact the de Montfort consecration would have on a marriage of legionaries and indeed of any Christian marriage. Thirdly, marriage is a radical school of evangelisation. Let me conclude with two short quotations from the documents of the World Meeting of Families which I think the Legion would agree with one hundred per cent. First: ‘The family is the principal agent for evangelisation of its own members. As the first school of faith and love, the Christian family is often where we ourselves first come to know Jesus and His love.’ Secondly, ‘The family proclaims the Gospel to the world. The Christian family by its witness to the life and love of Jesus is a principal agent for the evangelisation of the world.’ I wonder if in the light of the immense and rich teaching of the Church on marriage and the family in recent decades, because of the relentless attacks on them throughout great parts of the world, the Legion should revisit, reflect, and reactivate that whole theme on the Handbook on the spirit of home visitation.